RUSH: Joe Biden, ladies and gentlemen, at the Brookings Institution speaking about the middle class and the economy. 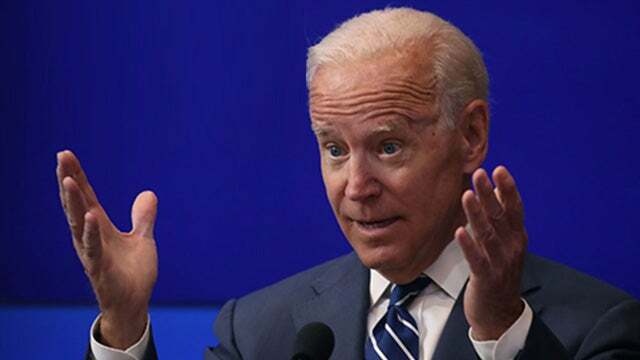 Now, remember, Biden is considered to be one of the great Democrat hopes in the 2020 presidential election. BIDEN: (whispering) Ordinary people do extraordinary things. We become awful elitist. We don’t think ordinary people can do things like program, code. It’s not rocket science, guys! We did it up in Michigan. When Detroit found out they didn’t have… When all the exodus… They didn’t have people [when] their city got back on its feet who could literally turn on the street lights, run the water system. So we went, we hired some folks to go into the neighborhoods. They pick 58 women, turns out, from the ‘hood. (very soft whispering) They learned the code. It’s not a secret. Not joking. RUSH: So here’s the former vice president, “Yeah, we went into the hood, we hired 58 women from the hood to go out and do coding. It’s not rocket science. We went out…” The vice president is facing some stiff criticism on Twitter for his racist allusions here. You can’t talk about going into the ‘hood. I mean, Jay-Z and Beyonce can talk that way, but Joe Biden cannot. “You can’t talk about going into the ‘hood.” He’s catching some flak. So he’s basically saying coding, that’s no big deal. It’s so simple, we even found people in Michigan that could do it! He’s literally insulting people in Detroit, Michigan, by saying, “Coding? Writing software code for operating systems? That’s no big deal! Hell, we found people in Michigan who could do it!” I wish they’d nominate this guy. I mean, they think Trump is an ogre, putting his foot in his mouth. This guy would be a walking foot in mouth the entire time he’s on the campaign trail. Now let’s see, what do we have? Oh, I mentioned earlier that the media was kind of glum at the news that the North Koreans are releasing three American hostages. And they are.